Is this the future of Boston’s waterfront and Skyline? BOSTON’S WATERFRONT IS CHANGING FOREVER. SIGN OUR PETITION NOW TO BE SURE IT’S DONE RIGHT! DEADLINE APRIL 9, 2018, to let the State know you oppose the development proposals for the Harbor Garage and the surrounding neighborhood. The plan is unimaginative and ignores the real needs for the public realm. Where is the much-needed ferry terminal? 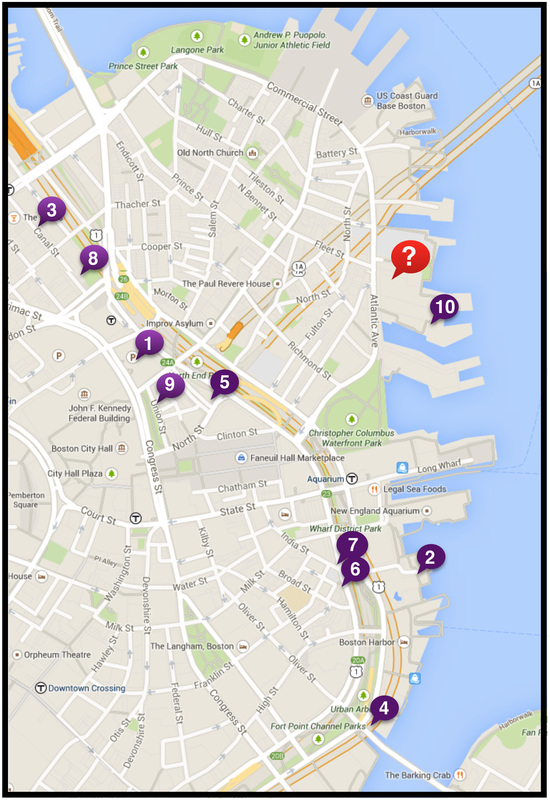 Where is the continuous Harborwalk from Columbus Park to the Moakley Bridge? Where is the vision? WE CAN DO BETTER! Sign the petition and add your name to the list of people who live, work or play in Boston and want to make Boston’s waterfront the best it can be. Ask your friends and neighbors to join you in this cause. Say NO to mediocrity — Working together we can preserve and enhance the quality of life for everyone who loves Boston. You can make a difference! There are approximately 4,895,000 sq. ft. of proposed, approved and under construction projects in the Greenway, North End and Boston’s waterfront.The Downtown Waterfront District Municipal Harbor Planning “MHP,” the Boston Redevelopment Authority “BRA,” and Mayor’s office are currently planning the future of our neighborhood. There are multiple projects in various stages of planning, development and construction. This will result in sweeping changes to the area. Some of these proposed developments far exceed current zoning and Chapter 91 guidelines. This map and list of building projects give a bird’s eye view of the overwhelming potential impact to the area. 10. Lewis Wharf Project 190,000 sq. ft. 300 Room Hotel.
? Sargent’s Wharf. 13,250 sq. ft. owned by the Boston Redevelopment Authority (BRA). Classified by BRA as “Potential Housing Site.” Future unknown. Please click on the Development Tab to see details on some of these proposed developments and their potential impact on our community.